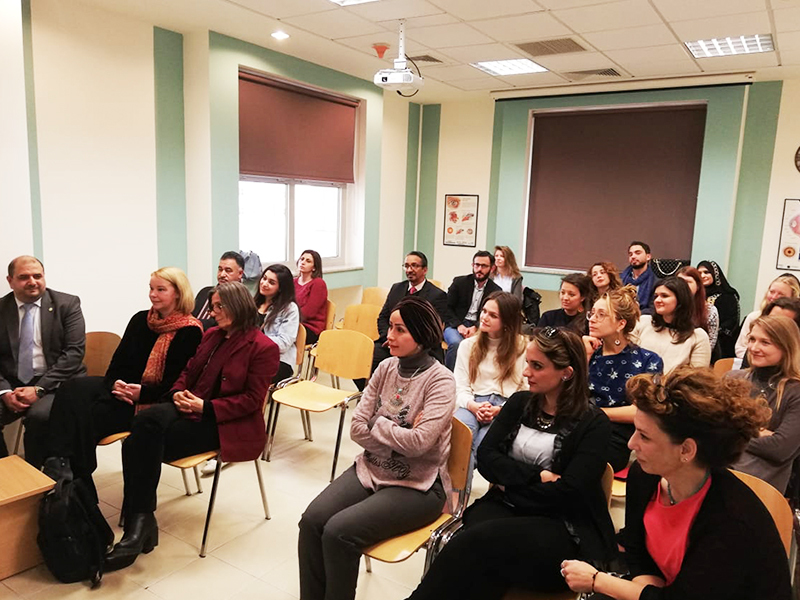 On Tuesday, February 19, 2019, The Consultation and Training Center (CTC) at the German-Jordanian University (GJU) in cooperation with School of Applied Humanities and Languages (SAHL) celebrated the graduation of the sixth batch of Professional Diploma students in the Social Work "Migration and Refugees". This diploma included 20 students from a number of countries such as Jordan, Syria, Germany, Austria and Belgium. The ceremony was attended by the Vice President for International Affairs Prof. Dorit Schumann, the Director of CTC Dr. Omar Shbeilat and the Dean of the College, Prof. Christine Huth-Hildebrandt. The ceremony emphasized the importance of this program in preparing graduates to be able to meet the challenges related to refugees. Schumann congratulated the graduates and thanked all those who worked on the program for their efforts and achievements, especially in the success of developing a Master's Program in Social Work specialized in the field of Migration and Refugees to be the first of its kind in the region. Shbeilat expressed his happiness and pride of graduates and their passion for learning and creative ideas that contributed to enriching this program, calling on them to be ambassadors in their countries to apply the knowledge they have acquired. Hildebrandt stressed that the graduates should reflect their experiences in the Diploma Program for their colleagues and friends in dealing with migration and refugee issues, as well as the importance of identifying the institutions which works with refugees. 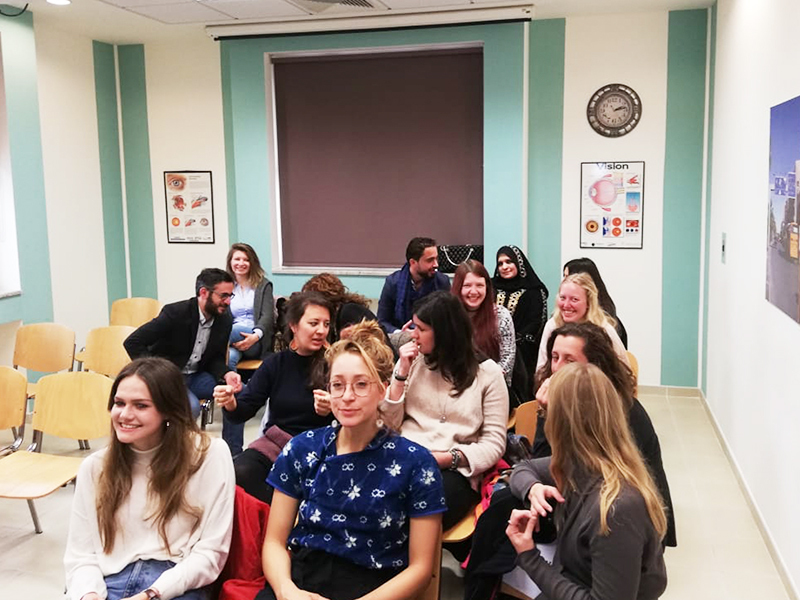 One of the graduates from Netherlands pointed out the advantages of the Diploma, which combines the theoretical and practical aspects of the field training in dealing with immigrants and refugees. Showing her personal experience in the intercultural of different nationalities that have enriched the program. At the end of the ceremony, certificates were distributed to the Social Work Diploma students. The Diploma focuses on addressing the challenges of refugees and migrates, provides an understanding of refugees and migrants in the context of conflict, social and political change, bringing together national, regional and international perspectives to include the current pressing issues of refugees.